One Saturday evening this summer outside Sao Paulo, my family and I worshipped at a church that welcomed us with front doors propped wide open, greeters in matching red scarves, and vibrant music that made you want to walk right in and take a seat. The sanctuary was full of young and old alike, and there was a buzz in the air right before the service began, a general excitement that worship was almost ready. Early on, the worship leaders announced a liturgical dance team and a drama. Our 7-year-old daughter loves to dance -- and is quite dramatic -- so naturally, she wanted to get a closer look. She left us in the middle of the sanctuary to sit on the front pew. She returned an hour and a half later. The sanctuary was dark during most of the service, with lights aimed at those reading, dancing or playing instruments. There was a thoughtful movement from one element to another that made us feel at home. When the preacher approached the chancel, electric guitar in hand, he led 20 minutes of praise and prayer, followed by an hour-long sermon. All of this was in Portuguese, a language our daughter barely knows. My husband and I watched her the entire time, of course, and we were amazed at her focus. The dancers, actors and preacher all captured her attention with their energy, the seriousness in their eyes and the smiles on their faces. They drew her, and us, into this worship experience because of their obvious joy. I can attest to the fact that our daughter has never paid this much attention to her regular Sunday preacher (me!). Nor is she typically this engaged in the content of worship. She knew something special was going on and didn’t want to miss it. I’m aware that many people are critical of churches that are too edgy and glitzy in worship. Some say the content gets watered down when so much time and energy is focused on bright lights and loud music. I understand that, and admit the lights were bright and the music pretty loud that night in Brazil. However, I also found myself drawn to the same thing that held my 7-year-old’s attention for nearly two hours on a Saturday night. We knew -- no, we felt -- from the start that two things were at work in that worship service. First, people had taken time and great care to plan this worship experience, and we couldn’t wait to see what was coming next. Second, we felt the surprise and expectation in the atmosphere. Our daughter felt it, too; it was as if she held in her hands a permission slip for things to happen that were not in the script. Throughout his sermon, the preacher asked us to engage other worshippers. Initially, it was a request to extend a hand to our neighbor. Then we were asked to place our hands on the shoulders of our fellow worshippers and pray for them. Later, it was a hug. The room was full of energy yet also heavy with anticipation. We were on a journey with this preacher. The music, gestures and invitations were taking us by the hand to a place we longed to go. Even with this kind of crowd -- my husband is Brazilian, and I know they kiss and hug freely -- it takes more than just a creative preacher to get a roomful of people holding hands and embracing. It takes an environment in worship that allows for the spontaneous experience of the holy. And who wants to miss that? Beyond the arguments for and against drums or organs or incense, isn’t the deeper issue at stake one that takes into account the place of the holy and the work of the Spirit as we gather for worship? Through Scripture, don’t we encounter a Jesus that does, a Jesus that heals, a Jesus that calls forth the unexpected? I fear that our traditional forms of American worship, over which I preside most Sunday mornings, allow a comfortably modern distance from the presence of a Jesus who actually acts in our midst. Have we labeled “traditional” something that secures a highly structured, prepackaged religious experience that prefers head over heart, knowing over feeling? Ultimately, isn’t the most important question, How does our worship, whatever the style, reflect an expectation that Jesus is with us and just might do something among us before the benediction? Traditional worship practices as we know them often leave Jesus cozy and tidy in compartments that most North American Christians find convenient. They can become a kind of script -- dare we say, a bulletin. Our daughter is too young to want a tidy and compartmentalized Jesus. And she likes to go off-script and experience new things. 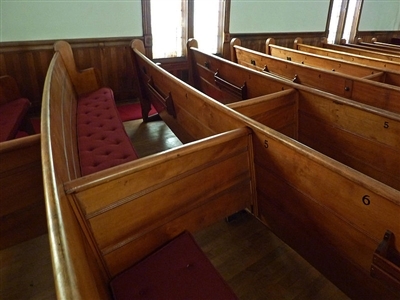 She wants to sit on the front pew, and doesn’t mind if it’s with people she’s never met, listening to an unfamiliar language. She wants to be engaged by leaders who give her every reason to expect that something powerful will happen in that worship service -- and that she will be a part of it. Perhaps the best indicator of faithful worship isn’t the volume of the music or the brightness of the lighting but how many people are sitting on the edge of their seats. Rev. 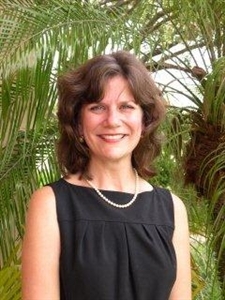 Cynthia Weems is senior pastor at First UMC Miami. Courtesy of Faith & Leadership www.faithandleadership.com. The opinions in this essay are those of the author and do not necessarily reflect the policy and position of the Florida Conference of The United Methodist Church.